Some recipes really are as easy as one, two, three, as this delightful dish from one of Rural Living’s favourite chefs, Jeremy Dixon (of Revive Cafe fame) proves. 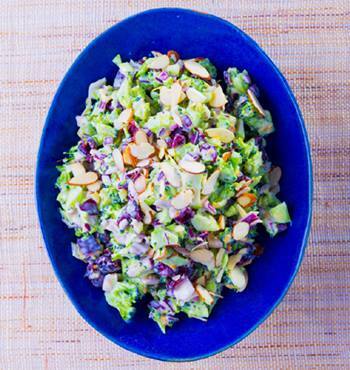 Add broccoli, cranberries and red onion to a serving bowl In a cup, mix dressing ingredients together. Pour over dressing and allow 30 minutes for the dressing to soak into the broccoli. Garnish with sliced almonds. Previous articleWomen’s world can be a corporate world! Next articleCanterbury Bells to ‘ring’ again?